About Elton S. Message Elton S.
A 2-2.5 hours guided walk through this colourful city. During a family cruise we booked a tour with Elton for the port of Curacao. We were looking for an appealing tour that could accommodate my elderly mother - and (oddly) his walking tour was perfect as it allowed my mom to use her scooter :) We met Elton a few minutes from the pier and he took us around Willemstad - describing the history of the island and showing us interesting features as we strolled through town. Elton's wonderful personality and extensive knowledge of Curacao made the tour enjoyable! We all really enjoyed our countryside tour with Elton. He brought a lot of knowledge about Curacao to our discussions about places and history and events on the island. His friendly demeanor got us all involved in conversation about traveling the world and getting to know about different cultures and destinations. If I had anything negative to say it was the car was a bit tight for the tall people in our group but we still had a lot of fun! We enjoyed our time with our tour guide Elton, a very pleasant man. Because he is a "local" he took us places we would not ordinarily have seen in Otrobanda. Elton was a fabulous representative of Curacao! He knows half of the island (possibly more) and gave us a wonderful tour. He was generous with his time. Swimming with the sea turtles was fantastic! It was such a great day! Elton picked us up at our cruise ship, and took us on a driving/walking tour around the island: Fort, Flamingos, Caves, Beach, ... etc. He is intelligent and remarkably well-traveled (77 countries!) and is a great/fun conversationalist. Not-to-Miss if you only have a day or so in Curacao! TOUR GUIDE RESPONSE: Thank you for the review Stephen!! Glad to hear that you had a great time in Curacao and it was definitely great to talk to you and your wife, especially about travelling since you're well-traveled too (93 countries if I'm not wrong). Enjoy the rest of your cruise and take care! Great personality; informative on Jewish history with support from Rabbi. Tour takes in all relevant stops plus a couple of extras. TOUR GUIDE RESPONSE: Thank you for your review Steven, it's highly appreciated and I'm happy that you enjoyed the tour. Regards! Elton was fantastic. 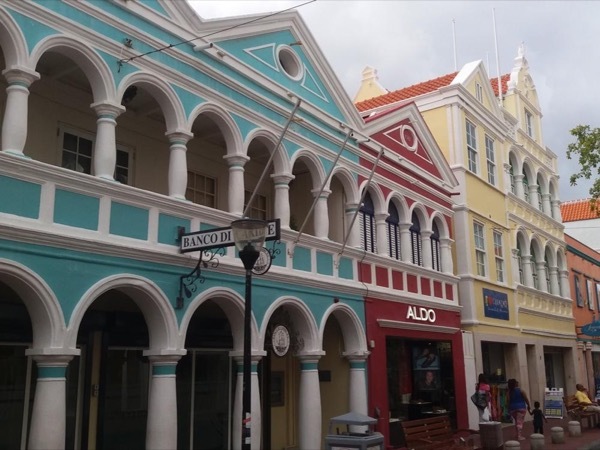 We wanted to see different things on Curacao besides the tourist traps. He showed us the West side of the island, and some great beaches. We asked for some local food and he brought us to a great place with great food. Elton was a great guide. Would highly recommend him. TOUR GUIDE RESPONSE: Thank you very much Ian!! Elton was just wonderful! He was flexible and able to deal with our ship's late arrival, which meant that we had a very good Historical Walking tour in Willemstad. We saw many different parts of the city and learned quite a bit about the history of it and the island. After speaking to others on our ship, we feel that we had the best guide and tour in Curacao that day. Thank you Elton! TOUR GUIDE RESPONSE: Dear Dianne, Thank you for the review and happy that you,'ve enjoyed it, despite the very late arrival. Appreciate it. Elton was a wonderful tour guide and was very knowledegeable. We had a mixup at the beginning regardin the size of the vehicle, but he was quick to remedy this and then the tour continued wonderfully. I would just suggest to be very specific about the needs of the group traveling (e.g. age, ability to walk stairs, long distances, etc,) This makes it a very wonderful tour and one which we certainly would recommend to everyone. Our group of 4 had an amazing time with Elton! He adapted our itinerary to fit our specific requests and managed to fit in everything we had hoped to do for the day and then some. Our ship docked late in the afternoon (2:30 island time) and Shete Boka normally closes at 3 but Elton was able to talk them into letting us in anyway. He knows the island extremely well and made sure we saw all of the best spots for pictures. He made us laugh, and we always felt safe and welcome. We would definitely book again! Great guide with good information and a lot of flexibility!